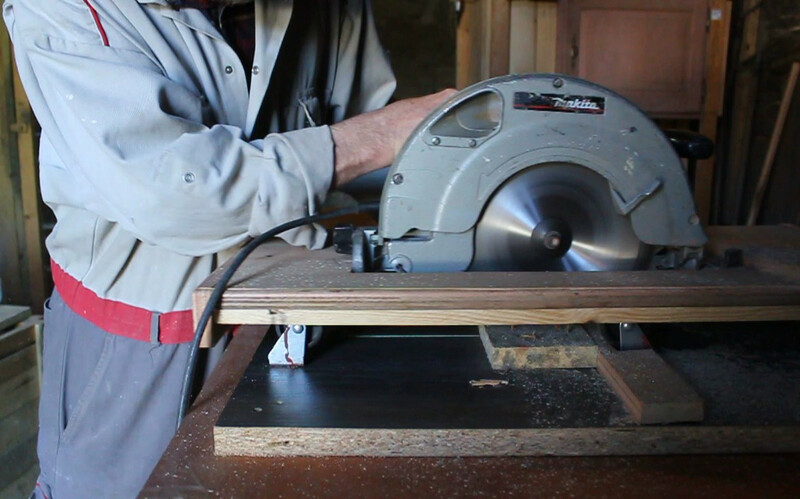 The following article goes into detail on materials, uses, modifications and upgrades to suit your needs, budget and woodworking experience. We use our organic poultry to weed a control pests in the greenhouses. Depending on the scale of the job we alternate between the chickens and the quail. Above, Vladamir, Diavolo and Co., pretending not to notice that the quail have a big heap of compost to play in. At the end of the courgette season the quail move in to clean up the woodlice from the rotted compost so that we can plant the next lot of vegetables. and its next lot of produce..
﻿In line with tradition, we planted our garlic on the shortest day and harvested it on the longest. Anybody with the ability to assemble flat pack furniture can get to grips with this design in its cheapest form. We designed three models of greenhouse, which were made on the same principles of construction. The most expensive (left), made from recycled glass windows and pallet wood, will cost more if you purchase the leaded light and wooden posts. Our cost was 50 Euros but I estimate it would cost around 100 Euros if you needed to purchase the above items. With water shortages, uncertain weather and continuing fallout from Fukushima, you can provide your family with year round vegetables, fruit, herbs and flowers. The 7 Euro Greenhouse incorporates an old glass window and has purchased polythene on all sides. In Summer, its gable ends and door panels can be swapped for wire mesh, to allow for ventilation. The glass greenhouse has walls made of recuperated windows, is more robust and remains warmer longer, once heated by the sun. 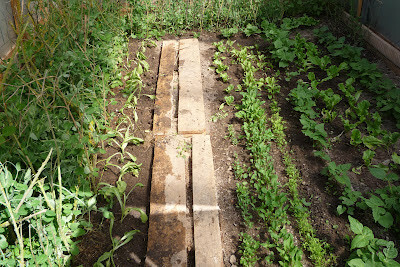 With the addition of fleece covers, we can grow more tender vegetables throughout the year. In addition we can grow medicinals and tropicals. For more information see link at end of this article. Start small - work up! Our first design - the 5 Euro Greenhouse is still up and running after 4 years and a couple of mini hurricanes as well as deep snow. For the sides and door: I used 6 of the pallet wood shelving frames (illustrated below), which if you can't get you can make from 5 standard pallets (120cm x 80cm), this would mean 3 sections each side rather than 2 in my design. The greenhouse walls were made using the vertical uprights taken from a set of pallet shelving which originally had served to hold pot plants. They were 80cm wide and 170cm tall. I was able to recuperate some wire fencing from our local dump and cut it to fit these rectangular frames. I have since recuperated several of these shelving systems so they seem to be a standard throw-away pallet item. If however, you can not get hold of them just use your stock of pallet wood to create something similar. I used four of these frames (shown opposite) for the side walls and two more for the door and end wall. The first thing I always consider, in a design of this sort is to create a way of getting a uniformity of construction. This is not just for aesthetics but because it makes everything easier when you come to fit the project together! To this end I set up a simple jig - out of pallet wood of course! To fabricate the 5 identical roof trusses needed for this design, I constructed a jig from two pallets joined together to create a work-surface of roughly 2.40m in length. Wooden blocks were then screwed at key positions so as to act as 'stops' when the truss components were laid onto the pallet. Something perhaps not so obvious in the Youtube film, is that my design incorporates a vertical piece of wood at the lower end of each truss. This enables each truss to be fitted to the inside face of the greenhouse wall. Once screwed into place, this addition prevents the tendency for the truss to move outwards. I felt that this vertical piece of wood, pushing against the inside face of the greenhouse, would be more secure than just relying on a screw or nail to hold the truss in place. Once attached to the opposite walls the trusses were joined to each other at the side of the roof apex using pallet wood planks. This way of linking each truss means the whole roof structure becomes stiffer and provides a 'smooth' surface for the polythene roofing at the apex. See photo above. To upgrade the 5 Euro Greenhouse, purchase some horticultural grade 200 micron polythene for around 30 Euros. Our Pallet Wood Chicken Coop - Hen House design and construction. This is also a prototype Tiny House and can be made in kit form and transported easily to where needed. Our Dry Toilet System Save water, save money and make yourself some great compost! All the best and thanks for dropping by. Please feel free to share this article, comment and/or ask for further information. Sorry I haven't replied earlier. Thanks so much for your comment and for visiting the site. There's plenty more to come! I'm just in the throes of making a henhouse using (mainly) pallets and pallet wood and I'm documenting the stages for the blog and my Youtube site. I'm really glad the days are getting longer!!! Great website! I love the greenhouse design out of pallets. Thanks for dropping by and commenting, much appreciated. 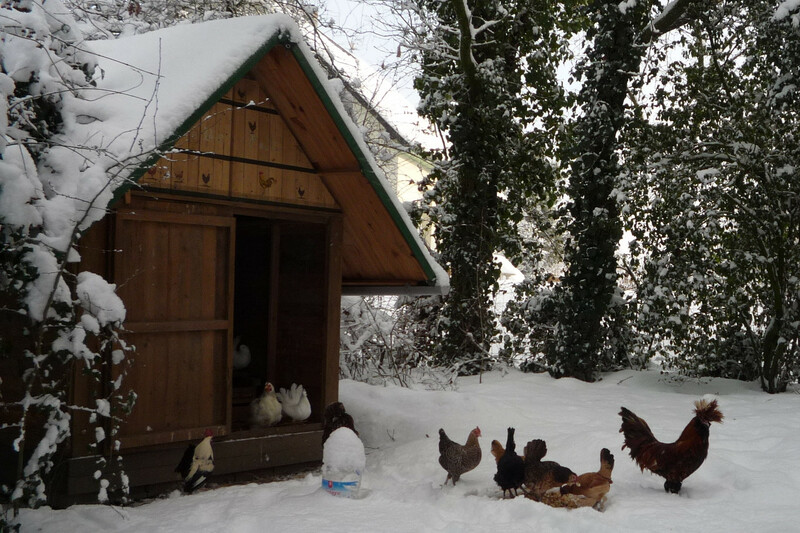 We are just about to set up the Hen House, all the sections are made in the workshop but we need to get a lull in the terrible weather we've been having lately before we can set it up. We will be making a film in two parts and also writing a couple of posts on it as it is a big project. Thank you for this post. I'm wondering if we have the same weather patterns and the same amount of light. I live in Connecticut, USA. I have pallets available to me free. I have a tool to break them apart without any difficulty and without breakage. I'm going to try this after Im done with my current project. 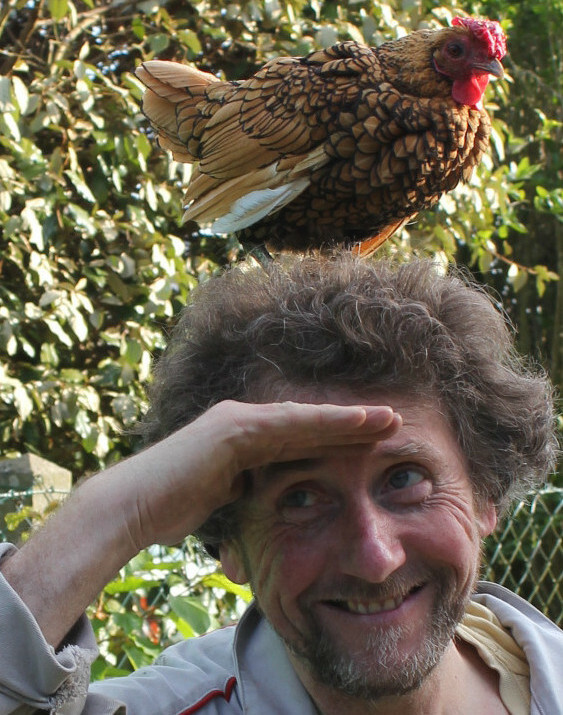 How do you use your chickens to enrich the planting soil inside the green house? Or do you use potting? 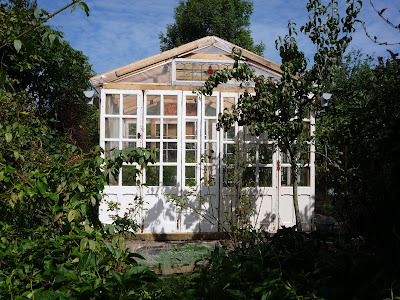 I have been watching this post for some time and I believe this would be such a good idea in a space I have reserved for gardening, but the idea is to supply vegetables that we can have all year round and this greenhouse allow for this to happen. I may sound funny, but I have a thing for roof trusses. Hehe. I enjoy just looking at it without a cover. Anyhow, you have a nice greenhouse there. Surely, your plants will grow healthy inside as your greenhouse controls the interior temperature, light, and moisture level, to ensure a very habitable place for your plants. Clever, money saving idea! Thanks for the instructions and photos. You make this look so easy, I may have to try it myself if I can't get my husband interested. Last year's garden was a disaster thanks to birds, mice and rats eating everything in sight. I'm going to start collecting pallets right away! Yeah have a go! The most difficult part is the erection of the greenhouse - an extra pair of hands will save you a lot of time and energy! For the rest you shouldn't find it too demanding. For the roof trusses I was fortunate to find a source of non-standard size pallets which enabled me to achieve the span with ease. If you have any questions that I haven't covered in the blogs, just drop me a line. This is a very great looking greenhouse! You have so much in it! I like them for the fresh food. Glad to have found this! We live in the desert and believe it or not, really need a greenhouse. The sun is too intense. My son and I will give a whirl at this. We are learning to use hammer and nails and saw.... great starter project! I like the greenhouse design out of pallets.Great !!!! Nice. Thanks for sharing. We're planning to build a hoop green house this Spring and hope to let the chickens use it in Winter. I understand using the untreated wood, but don't your structures rot fairly quickly without some protective element? 3-4 years ago, we used some bunk bed slats we found in the alley to make a rabbit fence around the garden using slats and chicken wire. However, several of the slats have already rotted out. We've got plenty of slats and they're easy to replace when needed, but I'd think that sort of thing would be sorely inconvenient for structures requiring more effort to build, wouldn't it? How long do your structures last in their natural state? Yes you are right about the untreated wod rotting and the time it takes to deteriorate varies from about 3 years up. I do treat some wood with linseed oil which seems to work, but the best thing is to improve the design so there is less of a problem. This I have already done with the hen coops where I've made the roof to have a large overhang thus protecting the walls from the rain. With the low cost greenhouse the biggest problem is from condensed water running down the polythene and becoming trapped between it and the wooden frame. Bear in mind that the first season the walls were covered in wire so the wood was exposed to the elements but after 4 years the wood is still in good shape. On the other hand the last of our three greenhouses that I built has had rot on one lower wall member but this I have replaced with relative ease. I have found that the quality of the wood varies dramatically from pallet to pallet but I do have sufficient to pick and choose to suit the wood to the job. I obviously slipped up on the last greenhouse though! The oldest untreated pallet wood structure I have is that of the roof trusses in the greenhouse I constructed using recuperated glass. This greenhouse was built 5 years ago and to date there is no rot. Best Wishes from Normandy, Andy. This is brilliant! My husband "thanks" you for this new project I'll be giving him! Thanks Andrea, if there are any more details you or your hubby needs, drop me a line. As a low cost greenhouse it has stood up well to the weather here in Normandy, but I would recommend using a higher grade of polythene if you can get it, this to save replacing the cheaper material every 18 months to 2 years. Thank you for commenting, if you need any extra information on the design or construction of the greenhouse, please feel free to contact me. bob in Georgia LOVE THE DESIGN OF THE PALLET GREENHOUSE IF I CAN GET THE PALLETS I WILL BE TRYING THIS GREENHOUSE THIS YEAR.I THOUGHT ABOUT THE TUNNEL DESIGN USING PVC PIPE BUT WITH WIND STORMS I WORRY ABOUT STABILITY OF THIS TYPE OF BUILDING. Hi Bob, that's great! If you have a prevailing wind then I would position the greenhouse so that it would not be 'broadside on' to it. 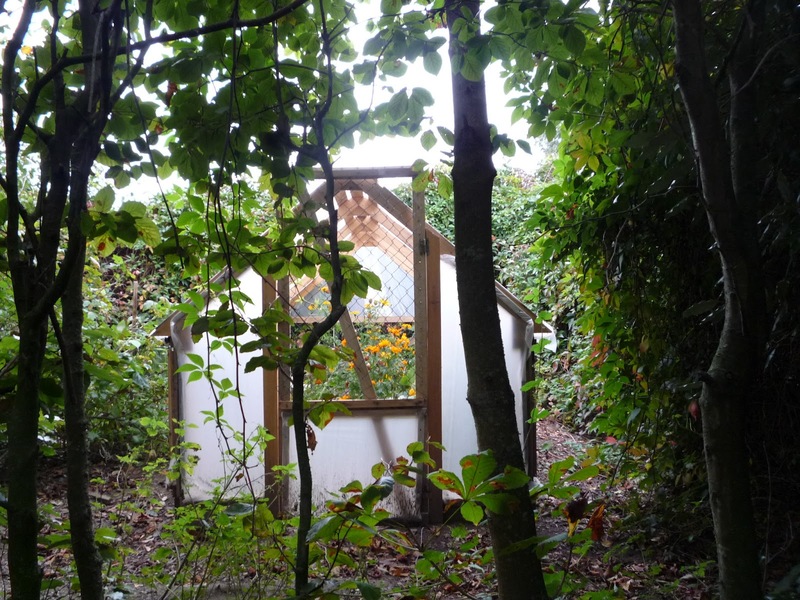 This greenouse is the most sheltered of the three in our garden in that it is positioned close to walls on the north and west elevations and there are hedges to the other two sides. We have found that despite the strong winds from the sea, the hedges take a lot of force out of them. The low roof height of this greenhouse also helps. For me the most important improvement to the design is to cover it with the correct grade of uv-stabilised polythene sheet (200 micron). The original covering only lasted about 18 months to 2 years. Good luck with the project, if you need any additional information, do not hesitate to get in touch. Thanks for your comment and Best Wishes for 2016, Andy. Thank you Gigio for your kind words, they are very much appreciated. Very Best Wishes for 2016, Andy. Hey! I love this idea! Though everyone I've asked about palettes, only have plastic ones! Do you know about how much it would cost to make this out of the kind of would you can buy at a home improvement store? Hi Romanzo, are you asking at shops that sell similar products? I have found that depending on what the product is the pallet type will differ. If you were to make this from rough-sawn timber I would think you would be looking at a wood cost of around 20-30 Dollars/Euros. In fact, the home improvement store which you may consider buying from would usually have wood pallets. Personally, I would still be inclined to 'shop around' at other stores for the pallets. I've recently come across a new source for my pallets; a retailer of ceramic tiles from whom I am obtaining about 5 to 10 pallets a week. Anyway, good luck whichever way you decide to undertake your project. If you need any more information, just drop me a line. Thanks for your comment and for visiting 'The Green Lever'. Now you got me thinking! Love the design of the 5 Euro greenhouse especially the pallet roof trusses. Question though, what's the reasoning behind the wire fencing at the bottom? I'm thinking of building one without it. Hello, happy Solstice! Not sure if you're still around keeping up with replying to comments, but I work for a City Parks Department and I'm trying to write a paper as to why they should fund me to build a small greenhouse to preserve our leftover flowers, and I was just wondering--how cold do you think these (or any of your greenhouses--I'm happy to talk them into a bigger one) can withstand? We're right up against the mountains so snow can be heavy and temperatures when it's not snowing can be rather unbearable. Furthermore, how do you think any of the roof materials would do versus hail? Hailstorms are one of our most tragic reasons for flower loss, but I don't want to build something with a glass roof that'll just crack, or some sort of plastic/fabric that'll just tear. I should have clarified--I'm specifically trying to save annuals, which we plant in June and throw out in October, so we can throw out fewer of them, and reuse them after a winter. Would an additional heater be needed?